Whitney has had a meteoric rise within the ranks at Sherpa. Proof that it’s best to hire people who have the “x-factor”. 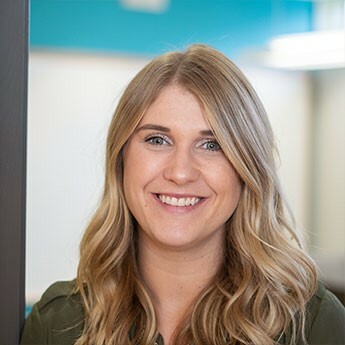 Whitney’s insatiable curiosity, ability to learn and master new tasks quickly propelled Whitney to her current position as Account Manager. She pairs a great attitude with a constant smile and is willing to take on any task. Whitney is one of Sherpa’s social media content creators and curators. Prior to joining Sherpa, Whitney worked in retail management. In her spare time, she also volunteers with The United Way Winnipeg.